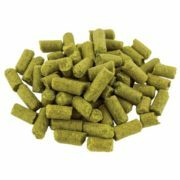 "German Tradition Pellet 1 oz" has been added to your cart. 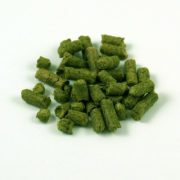 Perle Hops was bred by the Hull Hop Research Institute in Germany from a cross between Northern Brewer and 63/5/27M. 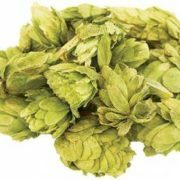 Perle Hops was introduced in 1978 is one of the most popular varieties grown in Germany, as this variety is used widely in commercial beers around the region. Perle has done well due to its versatility and resistance to wilt, mildew, and disease.